I’ve mentioned before that I love road trip pictures. Anyone who has spent any time on the site, since it was re-launched, has read of my road trips over the past couple of years. 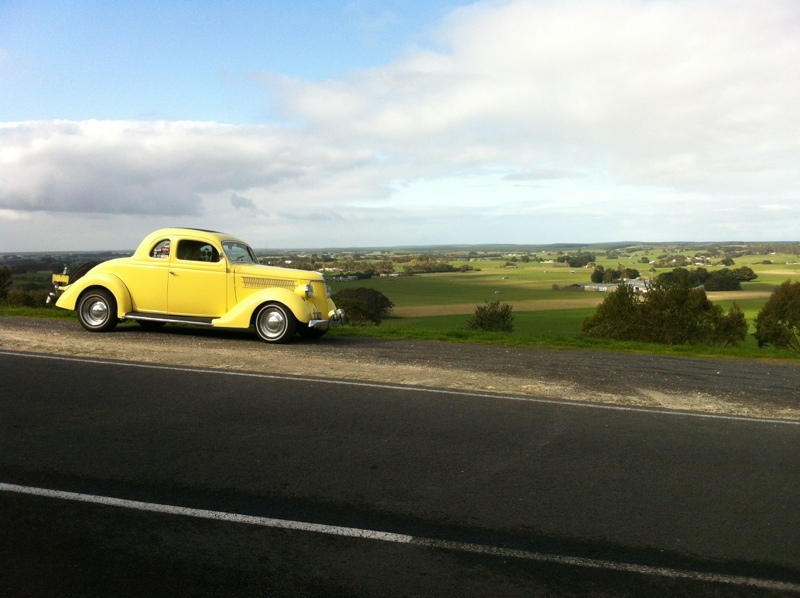 This morning, I received an e-mail from Peter Hall, with pictures from his latest road trip! Peter is a fellow member of the CrossMembers Car Club. 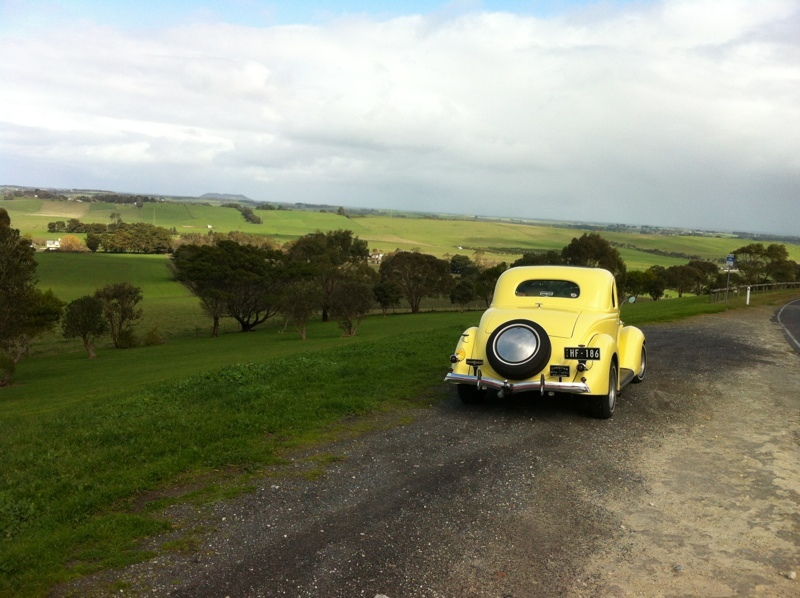 Just back from a weeks holiday in south-west Victoria. 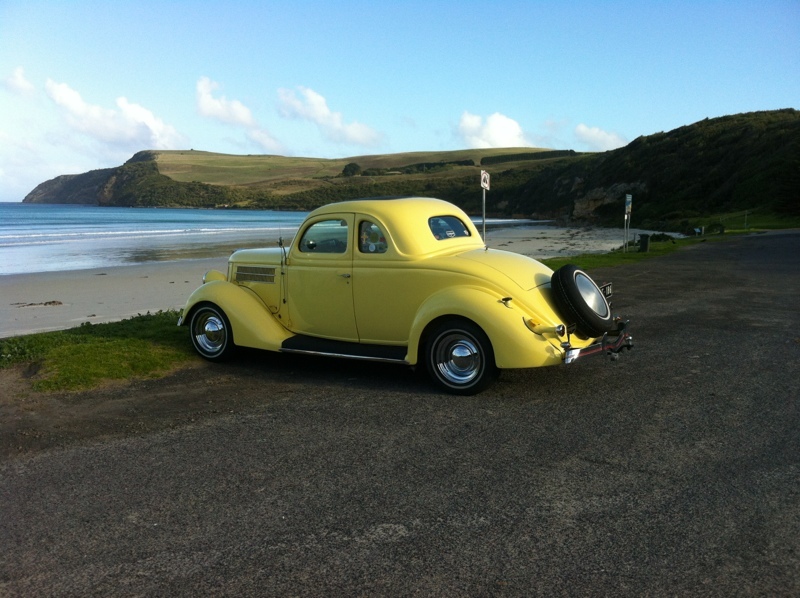 The coupe ran perfectly & best of all the cruise-control that I fitted worked faultlessly. As much of the trip was “on cruise” the flattie only used about half the amount of fuel that I was expecting to use. The first pic is at Cape Bridgewater overlooking the Southern Ocean. The next two are across the road from the “Blue Lake’ at Mt Gambier in South Australia. 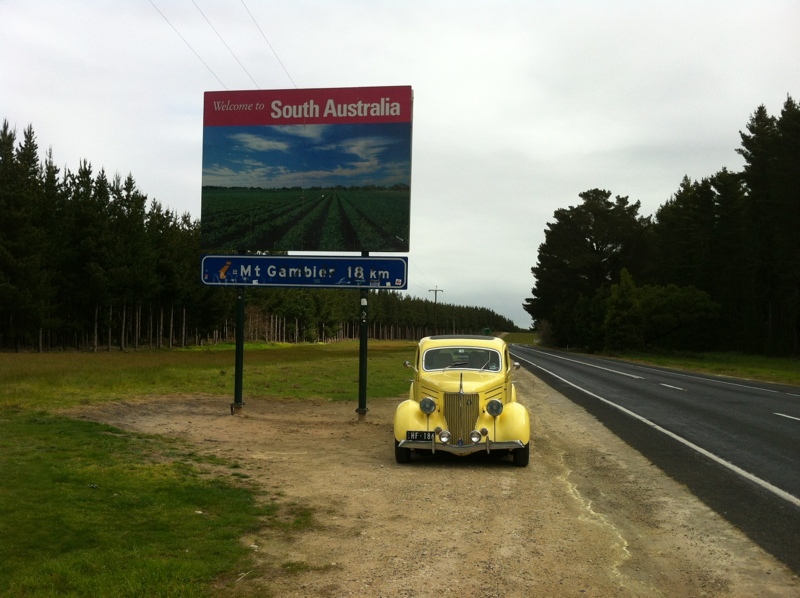 Had to park on the “wrong” side of the road as we left South Australia & headed back into Victoria. 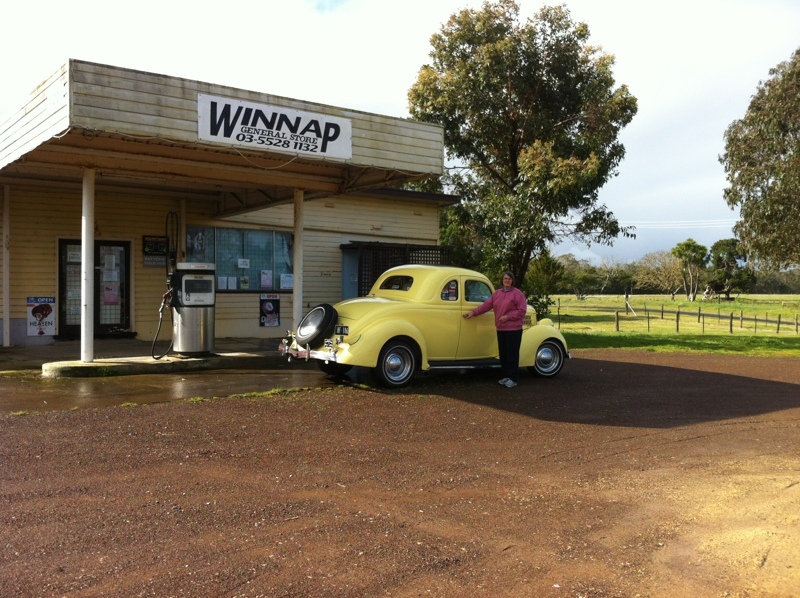 Deserted petrol station near Portland Victoria and finally outside my wife’s “favorite” house at Colac. All together approx 2000 kms travelled. 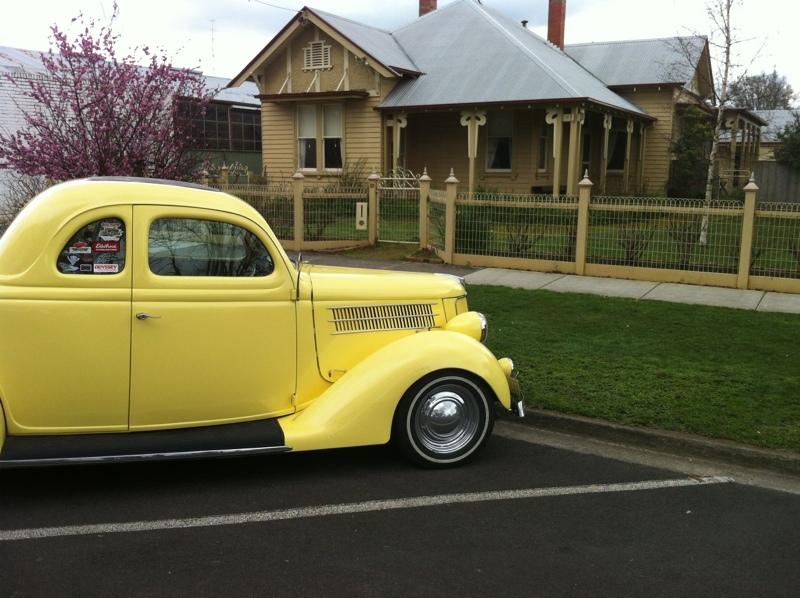 Stupid me left the petrol cap on the rumble seat step pad & had to use “race-tape” to cover the fuel filler until we got home. Thanks, Peter, and I hope you don’t mind my sharing!